Bass lessons at Euphonic Studio will give you the edge you need to play the bass well and understand what you are doing musically. Bass was actually my first fretted instrument in the ’60s. Since I had already done keyboard bass parts on the piano, I knew what to play, I just had to play it on a different instrument. It didn’t seem that hard to me. I have also played keyboard bass on a synthesizer for two bands (like The Doors). I also logged many hours kicking bass pedals on an organ when I was in organ sales. To play bass fluently requires development of your coordination and muscle strength. Since the bass part really drives the band in most cases you must also develop a very strong sense of rhythm and grooves. 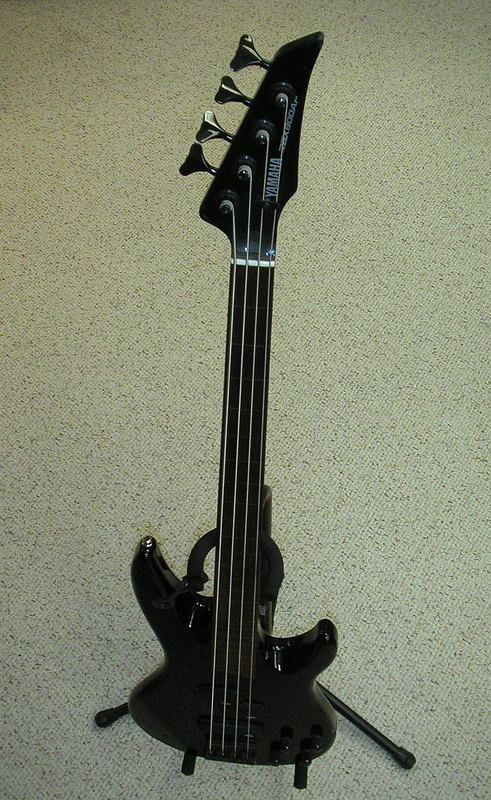 If you play fretless you really need a marriage of your pitch sense and muscle memory not too different from violin. I use some basic materials for beginners, the Hal Leonard course in 3 books. This will get you reading and playing with a CD. For those who have played other bass clef instruments I have other materials designed for muscle development. One of the most useful things for a bassist to practice is playing with other people or recordings. I will help you learn how to play with recordings, starting with the ones that come bundled with the teaching materials we use. As far as playing with others, you may need to develop a bit of technique and musical knowledge before you’ll be able to do that. However, if you work at playing along with recordings, you can bootstrap yourself up fairly quickly.